MINNEAPOLIS--(BUSINESS WIRE)--Best Buy Co., Inc. (NYSE:BBY) today announced that Cindy Kent, a seasoned health care executive, has been appointed to its Board of Directors, effective immediately. Kent most recently served as president and general manager of the Infection Prevention Division at 3M Co., a global science company that manufactures and markets products and services across a range of industries. Kent has more than 25 years of experience across a variety of roles and segments of the health care industry. 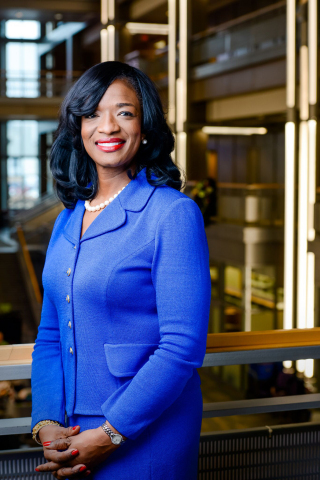 Prior to joining 3M in 2013, she worked at medical device maker Medtronic Inc. and pharmaceutical company Eli Lilly & Co.
Kent, 49, earned a bachelor’s degree in industrial engineering and management from Northwestern University. She also holds an MBA and a master of divinity from Vanderbilt University. Best Buy announces that Cindy Kent, a seasoned health care executive, has been appointed to its Board of Directors, effective immediately.